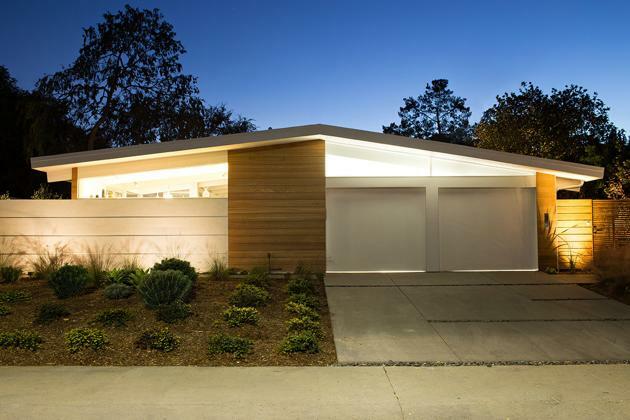 Joseph Eichler avidly believed in designing and building the stylish and functional indoor-outdoor homes that came to be known as distinctly Californian design elements and would likely not have been as successful a figure if it were not for the success of this ‘California style’ and the states strong cultural focus. 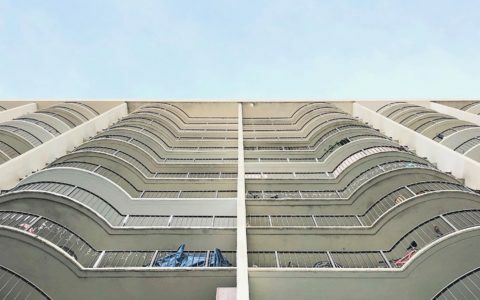 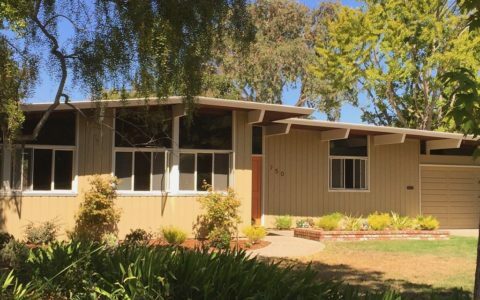 Eichler understood that, particularly in California, where individual progression and success were strongly focused upon, personal satisfaction was a fundamental aspect of modern and post-war culture and this was to be the ethos behind his domestic design. 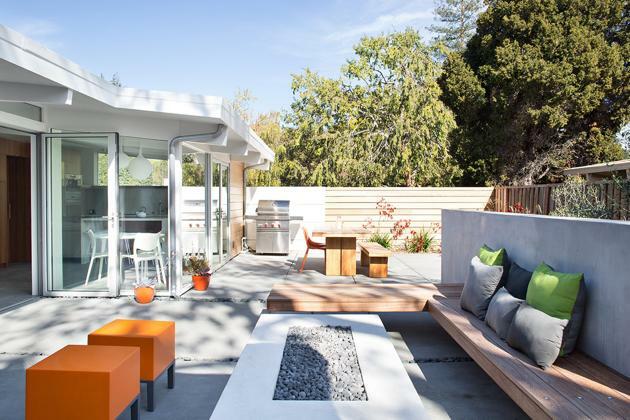 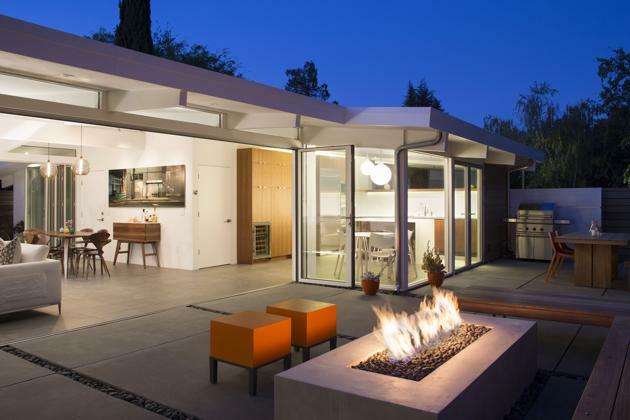 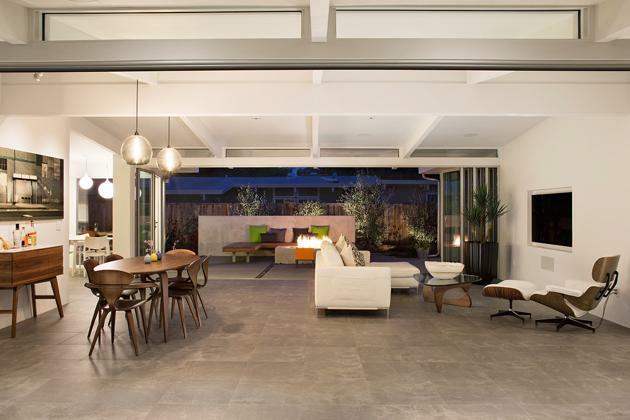 The architects contributing to the modern day improvement of this Truly Open Eichler also understood the importance of personal satisfaction as they focused heavily on accentuating the indoor-outdoor nature of the home. 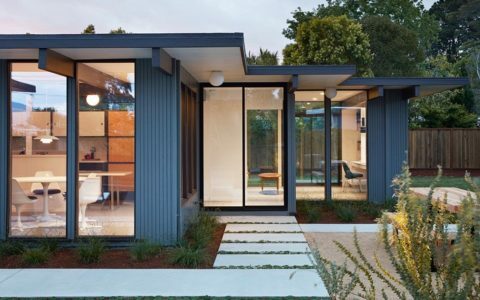 The original glass walls of the home have been improved so to be completely openable, enabling the homeowners to truly open up the interior of the home by transforming it into an open air pavilion that extends the living area of the house the private external side yards. 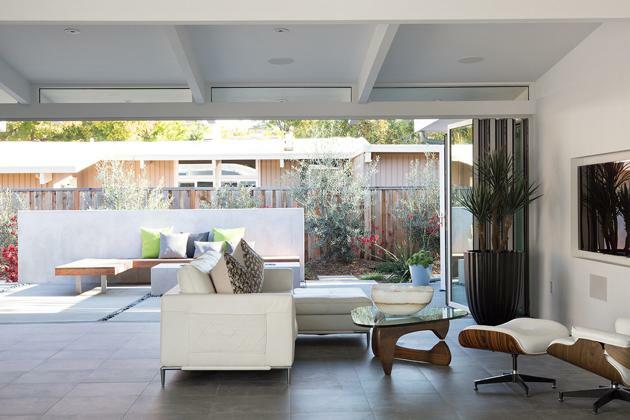 Utilizing the concept of borrowed landscape from traditional Japanese architecture, the architects ensured the house’s fountain and concrete bench wall were smoothly bound to the contours of the surrounding plot through clever use of natural landscaping; a feat that truly commits the house to Eichler’s ideals of practical living that welcomes the outdoors in. 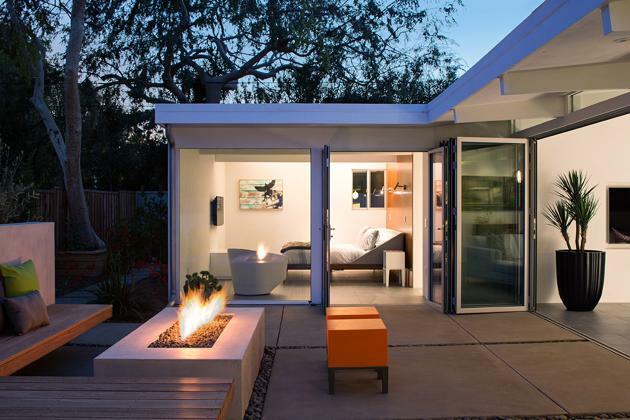 The three bedroom, 2.5 bathroom house measured up to only 1,712 square foot. 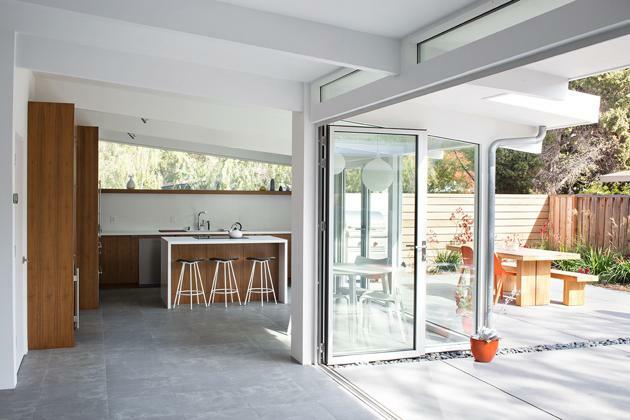 The simple nature and elegant functionality of this small family home is the perfect example of Eichler’s commitment to affordable yet stylish and functional homes improved by Klopf Architecture, Arterra Landscape Architects and Flegels Construction.